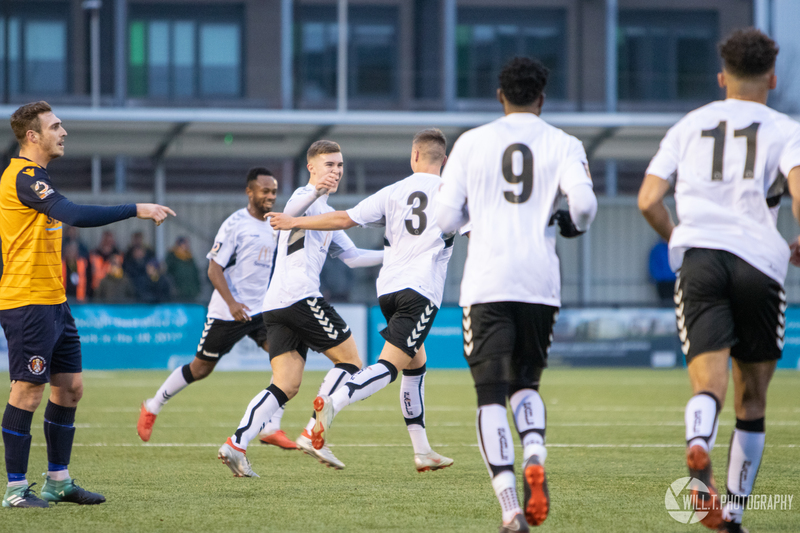 The Seagulls progressed in the FA Trophy thanks to a 2 – 3 win over league counterparts Slough Town, who were reduced to ten men in the second half. Gethyn Hill glanced a header from Alex Byrne’s cross into the side netting, before Chris Flood was quickly onto a lacklustre Jason Pope touch but his pass through to his team-mates was sloppy and easily picked up by alert goalkeeper Luke Purnell. Pope’s driving run to the edge of the area led to his cross being cleared behind for a corner, before Weston took the lead. Jacob Cane and Jennison Myrie-Williams’ pressing of the Slough defence led to Sean Fraser gifting the ball to Marlon Jackson. 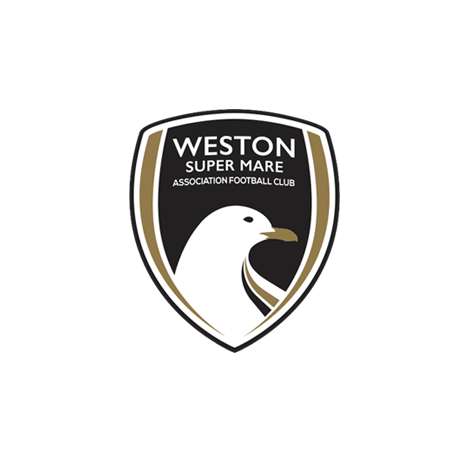 The striker gave the goalkeeper the eyes and rolled the ball into the back of the net for his first goal in a Weston shirt. Purnell turned a Ben Harris shot at his near post away after former Seagull Manny Williams had played him into space, with Slough equalising a minute later. 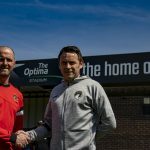 James Dobson found himself in space down the wing, and his cross to Harris arriving in the centre was tapped in by the striker to draw things level. 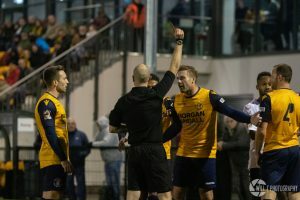 Skipper Jacob Cane nodded wide of the target when George Nurse’s volleyed cross fell his way, but the Seagulls didn’t have to wait long to retake the lead. Jake Lee took over from Byrne on a short corner, and steaming down the centre was Nurse. Lee played the ball inside to the left-back, and hitting the ball first time, he powered the ball into the top corner from the edge of the area. 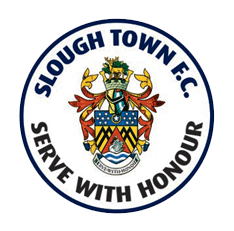 Slough drew level again minutes later when Dobson was again found in space on the wing and his cross into the middle was met by the head of Harris, who powered the ball past Purnell. Lee fired wide from outside the area when he was given an invitation to shoot, before Dobson’s cross-shot was wide of the target after Cane had been fouled in the middle of the park but the referee deemed nothing wrong with it. Chris Flood’s thunderous half-volley from 18 yards after being set up by Matty Stevens was pushed away by Purnell, with Myrie-Williams going close a few minutes later when Purnell’s kick after clawing away a deflected Dobson free-kick had beat the offside trap. 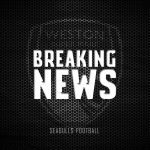 Weston regained the lead for the third time in the afternoon when Hill gathered the ball on the right and jinked inside past a couple of defenders. He found Nurse, who beat the right-back and drove the ball across goal. Arriving on cue, Hill tapped into an empty net to send the Seagulls fans into jubilation. 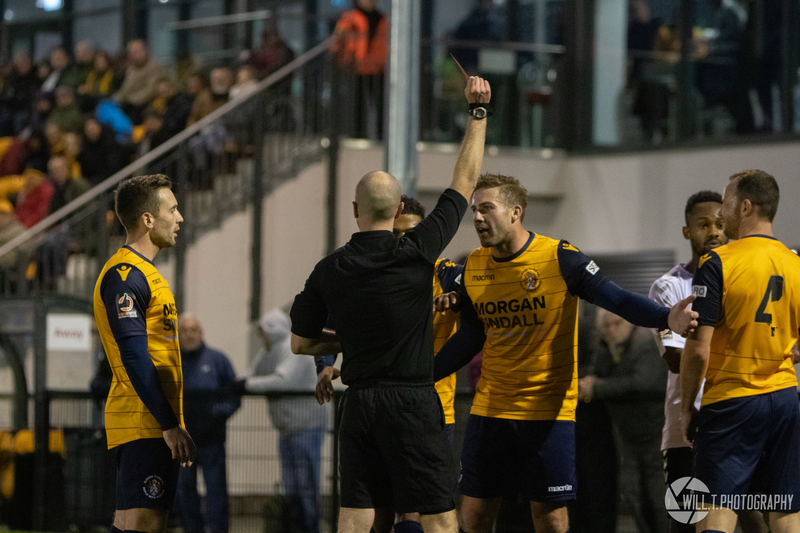 Slough were reduced to ten men when Guy Hollis received a second yellow card for forcefully pushing Myrie-Williams into the perimeter fence around the pitch. Hill had a goal ruled out for offside from a Cane cross, before Stevens almost got an equaliser when he raced onto a loose Nurse pass and cut inside Pope, but Purnell was equal to the effort and got down low to keep it out. 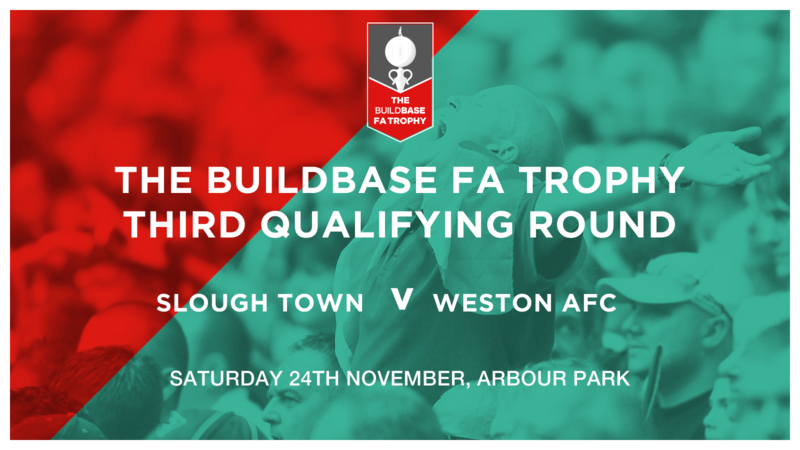 With their backs against the wall though, Weston managed to hold on and seal progression through to the next round of the FA Trophy. 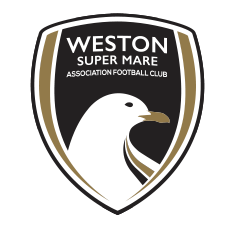 Weston XI: Purnell, Byrne, Nurse, Cane (C), Pope, Bower, Lee, Diallo, Jackson, Myrie-Williams (Lucas 77), Hill. Unused subs: McGrory, Kingston, Swallow, Llewellyn. MOTM: Alex Byrne – Deployed at right-back, Byrne was the pick of the players, sweeping up in defence and making attacking runs in a near-perfect performance from the summer signing.